Before he was known as Crazy Horse and a great Lakota warrior, he was Light Hair, the name being derived from his brown hair. Crazy Horse received the famed name that we know him by from his father, Crazy Horse II. His father in turn took the name Worm, when he renamed his son. Crazy Horse was born circa.1842 to Crazy Horse II and Rattling Blanket Woman. His father being a medicine man was gone often, out ‘on call’. As a small child Crazy Horse’s mother died and his father later married two women simultaneously. The ‘Long Knives’ at Fort Laramie always spoke of peace. To satisfy their pleas in 1851, Lakota and other tribes pitched camp around the fort and waited for the talks to begin. At the meetings they learned different things were wanted, which the various Native Americans agreed to. In exchange for their agreement, the Lakota and other tribes would receive annuities. But the treaty didn’t hold up so well, as both sides broke their word. What little peace the groups may have had didn’t last long. A Mormon’s cow got away from him and wandered into the Lakota camp. The Indians who had been waiting for their late arriving annuities, were hungry and butchered the cow. They apparently didn’t believe it belonged to anyone. Back at the fort, the Mormon told authorities his cow had been stolen. Later an elderly Indian named Conquering Bear tried to explain the matter to the fort commander, but to no avail. The commander would not even accept a horse as payment. The man who had slaughtered the cow had to be brought to justice. The next day Lieutenant John Grattan was sent with a detachment to the Lakota camp. An argument erupted and the soldiers fired on the Lakota, seriously wounding Conquering Bear (he would later die as a result of his wounds). The Lakota warriors went into action firing on the soldiers. When all was said and done, 29 soldiers and an interpreter were dead. A touchy situation had been started that would continue to escalate over the years. Crazy Horse, then a child, witnessed this event from a short distance. Afterwards the tribe moved away from the fort. A year later in retaliation for the Grattan Massacre, the Battle of Ash Hollow took place. Crazy Horse found the Lakota camp destroyed and Indians taken prisoner by the army. At another part of the camp he found the dead. In all there were 86 men, women and children dead. Only one survivor was to be found, her husband and child having been killed. He took the woman to his uncle, Spotted Tail’s camp. But even there soldiers found them. They attacked the camp and took Spotted Tail prisoner, who would later be sent to Leavenworth. 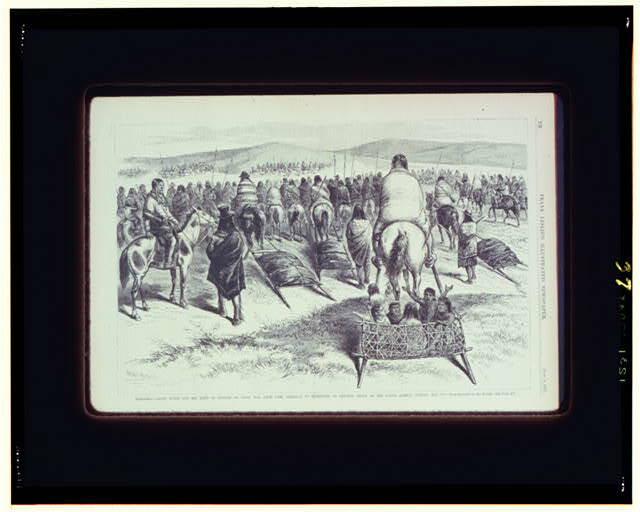 A massacre at Sand Creek left hundreds of Lakota dead and other unspeakable atrocities had been committed at the hands of Long Knives. Twice the Lakota attacked Julesburg for the outrage, Crazy Horse being with the second attack. To compound matters, at Fort Laramie after returning a captive to the whites, two old men (i.e. Loafers, Lakota who lived near the fort having grown very dependent on annuities.) were hanged. The rest of the Loafers were rounded up and were to be taken to Fort Kearny, in case they decided to retaliate for the deaths. Crazy Horse along with others liberated the group while it was en-route to Fort Keanry. Amidst the hardship, Crazy Horse married Black Shawl and a daughter was born. Named They Are Afraid of Her, Crazy Horse doted on the little girl for the rest of her short life. Sadly, she was sickly and while Crazy Horse was away in Crow country the toddler died. As if the setters hadn’t been bad enough, miners were now invading Lakota land. 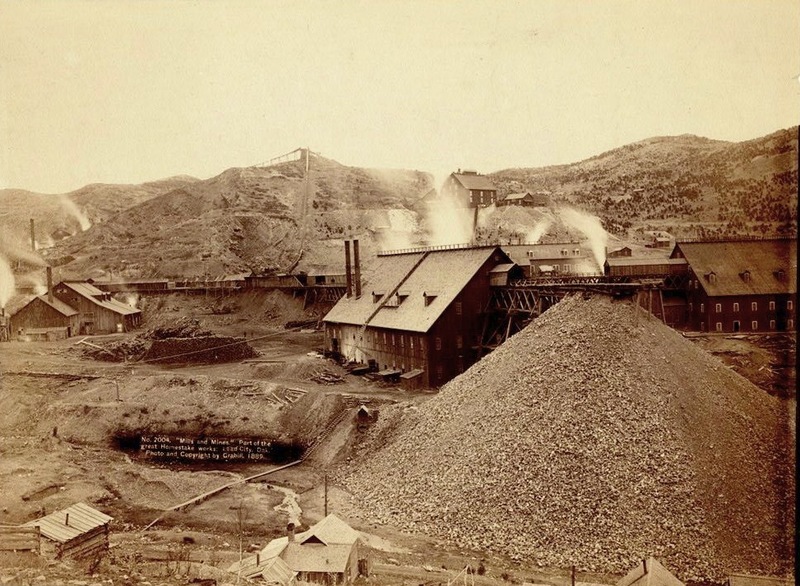 Gold had been discovered in the Black Hills, land considered sacred to the Lakota. Crazy Horse led deadly raids on the miners. However, the elders told him he was becoming ‘reckless’ and warned him against it. The government offered to buy the Black Hills from the Lakota, but Crazy Horse considered that insulting. 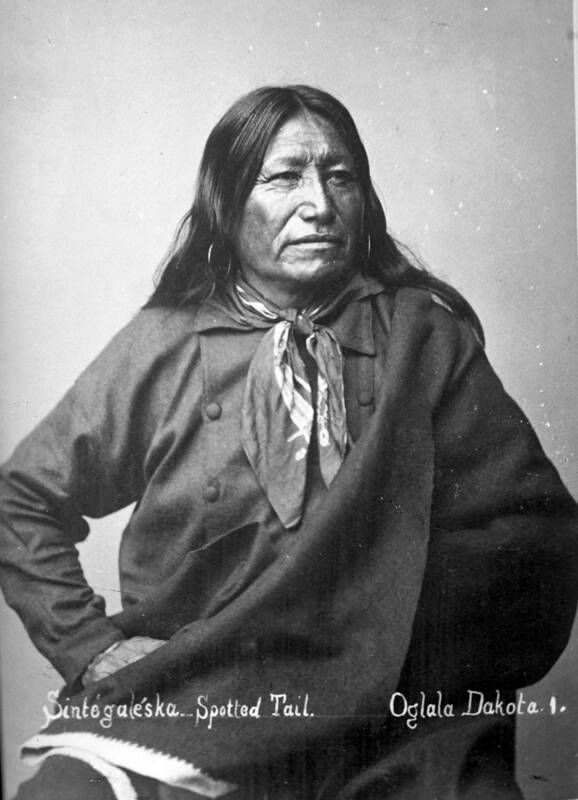 Another Lakota named Red Cloud agreed to the proposition and the Lakota were soon ordered onto reservations. In response, Crazy Horse began amassing warriors in his camp. He wasn’t going to sit back and give everything up without a fight. Crazy Horse and Sitting Bull joined forces and were soon going against the Long Knives. On June 17, 1876 at the Battle of Rosebud the Lakota fought off the soldiers until they began to run low on ammunition and had to withdraw. Eight days later they met up with General George Armstrong Custer at the Battle of the Little Big Horn. Custer and his men were completely obliterated. Crazy Horse sent a committee to speak with officials about peace, but that ended in failure. Eight men rode towards the fort where they were to meet for discussions. They were under a flag of truce and defenseless, having left their weapons behind. Crows, who were enemies of the Lakota, greeted the eight before opening fire on them. Only three Lakota rode away alive. Soldiers went after the Crows and another soldier tried to get the Lakota to return. A prospect of peace had been destroyed, due to the unanticipated act of the Crow warriors. Soon groups began deserting Crazy Horse for reservations. The Lakota were tired. In 1877 Crazy Horse finally gave in to the demands, after giving the idea a great deal of thought. On the reservations, his uncle Spotted Tail, afraid that Crazy Horse would take his place as a ‘chief’, talked down to him. Red Cloud was also causing trouble for the Lakota warrior. Crazy Horse was to be imprisoned, which he learned at the last minute. When he tried to get away a soldier bayoneted him. He later died in a doctor’s office with his father and cousin at his side. Son of the Morning Star is worth a watch to get deeper perspectives on Crazy Horse, and the Lakota social perspective is admirably portrayed in Dances With Wolves, recognized by your Library of Congress as being of cultural ,historic and aesthetic significance. What a rich heritage your country has! I think I’ll check those out on Wikipedia. I’ve seen mention of Dances With Wolves, but never gave it any interest. Thanks for reading. Also in two weeks I plan to do a post on the Irish potato famine, and hope I do it justice. In this I’ll be somewhat ‘overstepping my jurisdiction’, so to speak. Well good luck with the potato famine – we in Ireland are always interested on the ‘take’ on this huge event. May I recommend ‘The Great Hunger’ by Cecil Woodham- Smith, which is the acknowledged definitive book on the topic. Looking forward to that post! I lucked out! The library has this book and I’ll definitely be borrowing it. Thanks. Great post. I’ve always had an interest in the American Indian Wars and material from the native American pov. Dee Brown’s, bury My Heart at Wounded Knee comes to mind. Another excellent book regarding Crazy Horse is Stephen Ambrose’s Crazy Horse and Custer, The Parallel Lives of Two American Warriors. The local library has Bury My Heart at Wounded Knee, but not Ambrose’s book. I’ll try to get ahold of Brown’s. Thanks for the suggestion. Glad you enjoyed the post. Great post. Sad story, as they often are, especially where Native Americans are concerned. Yes they were, generally, not treated well. Glad you like the post. I am very interested by the Lakota Sioux, but only recently, so thank you for reading because I have a lot to learn. Being 1/8th Cherokee myself, I have a great interest in the Native Americans. Glad you like the post and thanks for reading. J.G. you need to add facebook to the share buttons. I’d like to share this on face book. I have some facebook friends that would be interested in this article. Good job kid! I’ve done so and thanks for sharing it. Glad you like the post. I am cherokee indian myself. It was my grandma’s grandma’s or my great-great grandma’s side, if I remember correctly. Glad you liked the post, to tell the truth I was having my doubts while writing it (That is, would anyone even bother with it). Your very welcome. I’ve always thought that crazy horse, was one of the more interesting sections in my history books. Yes, I think it would. My grandma doesn’t remember that much(her grandparents died when she was young, she was from a family of 6 i think), but she does know there names. Come to think of it, I should get there names and find out more about them now. Oh, and do you know of an easy way to find out about them more, once I get their names ? Like how to find out more about them. Sure. You can go to ancestry.com and sign up for a free account and you’ll be able to access some of the records. Also try FamilySearch. At genforum you’ll be able to ask around about your ancestors, if you need more info. And then there’s FindAGrave, and some States let you search their archives, and also see the National Archives. If I think of anymore I’ll let you know, but this should work for starters. Truly a great post and a great blog. It’ll be a great way to catch up on my American history. Native Americans, with their long history of violence, resistance and often vengeance, and now with their current integration into American society, remind me of the tales of the last samurai. They had to surrender their swords, their fighting spirit and their creed to become merchants, scholars and peddlers. Those who didn’t, those who couldn’t, were mildly swept away by the times. Thank you! I’m glad you liked the post. It must’ve been hard for the two cultures to assimilate when they had lived the lives they were, for so many generations. However, the Cherokees were one of the ‘Civilized Tribes’, which willingly gave up their former standards of living for the European way. Thanks for reading. Great post! I really enjoyed the way you married research and a flowing narrative together. I particularly enjoyed the critical eye you gave to the truth/myth concerns in historical texts. I just wanted to thank you for your post and let you know about a promotion that Premier Digital Publishing has for “Crazy Horse & Custer” by historian Dr Stephen Ambrose (who is also the mind behind Band of Brothers and was the historical consultant for Saving Private Ryan) that you mentioned. Starting this Thursday, August 16th – Tuesday, August 21st Crazy Horse & Custer will be $4.99 (half price!) http://www.amazon.com/Crazy-Horse-Custer-Parallel-ebook/dp/B0062BVCM6/ref=pd_sim_kinc_3?ie=UTF8&m=AG56TWVU5XWC2&tag=premidigitpub-20. I hope you take advantage of this promotion, spread the word and stop by our website for more historical titles. Thanks very much, Christy, very happy you liked it. And I’ll be sure to check the promotion out. Love this post. So sad yet very part of American history.